Why Should Nonprofits Take Advantage of the Mobile Web? Businesses of all types have recognized mobile marketing as a vital element for future success, and as a result are creating entire campaigns within the mobile realm. Nonprofits can look at these strategies and draw parallels to their own marketing, recognizing areas in which they can update and improve. Here’s a look at some statistics and tactics you should pay attention to and use to take full advantage of what mobile marketing has to offer. To recognize the real prevalence of smartphone and tablet computer usage among your audience, all you have to do is look at some of the studies that have been done on the subject. According to Pew Research Center’s Pew Internet Cell Phone Activities 2013 study, 91 percent of American adults own a cell phone, with 81 percent of those adults sending or receiving text messages and 52 percent using their phone for email. According to the Pew Internet Tablet Ownership 2013 study, 34 percent of Americans own a tablet computer. Their Cell Internet Use 2013 study supplements this information by illustrating that 63 percent of Americans access the mobile web daily with these devices. If those stats weren’t enough, Morgan Stanley estimated in 2010 that mobile web usage will surpass desktop usage in 2014, and that seems to be the direction we’re heading. According to Litmus, 51 percent of all emails are now read on mobile devices. Since such a high number of emails are read via mobile, and web usage in general is moving to mobile devices, consider smartphones and tablets the new gatekeepers. If your website’s message can’t effectively be communicated to your mobile visitors, you can’t expect those people will read your emails or visit your website on their desktop computers. Take advantage of this by implementing responsive design in your web marketing efforts. By utilizing responsive design, your emails and website will display equally well on a desktop computer and a mobile device screen. Responsive design integrates flexible images and scalable aspects, meaning that the features of your website or emails will automatically resize, depending on the screen size of the device on which they’re being displayed. For emails, services are starting to provide mobile templates, which will make the text in your emails larger. Additionally, effective mobile emails typically only have one column of content, large buttons, and concise copy. Social networks, a valuable tool in the work belt of the nonprofit marketer, have gone mobile. 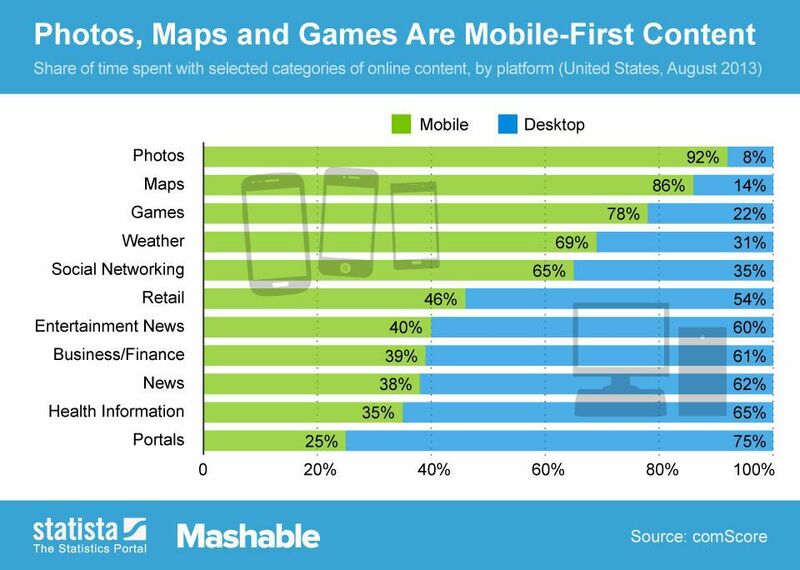 According to data from ComScore, 65 percent of social networking occurs on a mobile device. Keeping tabs on the social experience for your audience via smartphone and tablet computer is a wise move, considering the amount of followers that may access the content you post on your Facebook, Twitter or LinkedIn. With mobile payments representing the wave of the future in retail, you can expect the same principles can be applied to accepting donations. While mobile card readers and mobile wallets dominate the retail mobile payment space, you can take advantage of something as simple as text donations. Through text donations, your donors can pledge certain amounts via text message. This donation is then typically charged to the donor’s mobile phone bill. Furthermore, since you’ve created a responsive and mobile-friendly website, you’ll be able to accept donations through your website as usual. Mobile card readers and mobile wallets are not just for retail, either. Accepting credit card donations via these convenient, portable methods is great for events, saves money on fees, and is just as secure (sometimes more secure) than traditional credit card processing methods. Mobile marketing is not just for retail giants. Nonprofit organizations have plenty to gain by taking advantage of the mobile web. With these tactics and tips you can integrate your marketing efforts, social media and even accept donations via the mobile web. The preceding is a guest post by Kristen Gramigna, Chief Marketing Officer for BluePay, a payment-processing firm that helps nonprofits streamline their donation process. She brings more than 15 years of experience in the bankcard industry in direct sales, sales management, and marketing to the company and also serves on its Board of Directors.